I just ripped up fistfuls of lush, green weeds, all in an effort to plant my favorite flower. 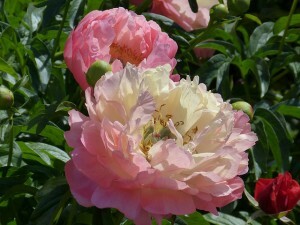 Peonies are, in my opinion, the most beautifully orchestrated tangle of delicate petals on the planet. The process of tearing the life away from other, less attractive foliage left me wondering why we don’t just accept the weeds and invite them to join our garden party. Getting to the root of the issue (pun intended), I wavered, then discovered why we have to take the time each season to rid our lives of the weeds. 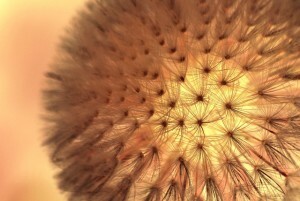 I love the dandelions covered in feathery strands that get caught in the wind, or my breath while I’m making a wish. One of our neighbor’s yards is currently covered in tiny purple flowers that blanket the green weeds lying below. Sometimes the stuff in life that crowds our main objectives and intentions is attractive and distracting. This is where I initially wavered in my fight against the weeds. Wouldn’t my soft, pink peonies look even more vibrant against a canvas of violet? The simple answer is yes, but if you look deeper you’ll find that those weeds will eventually choke out your favorite flower. Something shiny and intrusive will always be available to keep you from tending to your purpose, and I think those diversions are what eventually lead us to doubt our initial ambition. This truth takes me to my knees. Pulling up the stubborn, sticky weeds is a dirty job, and so is getting rid of the stuff in your life that has laced itself into your daily walk. And now for the toe stepping… Sometimes the things we are closest to aren’t helping us accomplish our purpose, but they’re wrapped around us like roots taking hold of the earth and we’re unable to move freely. Slowly being strangled, we think we’ll eventually get there or it’ll happen someday, but in truth there’s something holding us back. We have to wrangle ourselves out of the death grip of life-sucking relationships, mind-sucking Netflix series, over planned calendars, and self-depricating mantras. Don’t let them fool you, weeds will take your life over if you let them. Ugh. Once we’ve weeded out all the nagging, consuming, elusive stuff, we have to be weary of those things creeping back into our lives. They won’t ask to be invited, they’ll just pop up one day, and it will be a day that you’re too busy to take care of it. Then, when you get back to focusing on your goals, you’ll notice that one tiny budding seed has multiplied. We have to commit to getting our hands in the gritty, pungent soil in order for our peonies to have the best chance to bloom. Our life, family, and writing are going to be smothered if we don’t get a grip on the weeds and yank them out. LOVE this post! This is something I’ve been struggling with a lot lately.